My name is David Hall, and I have been a professional full-time real estate agent in Texas for over 14 years. I first came to the Fort Hood while in the Military. 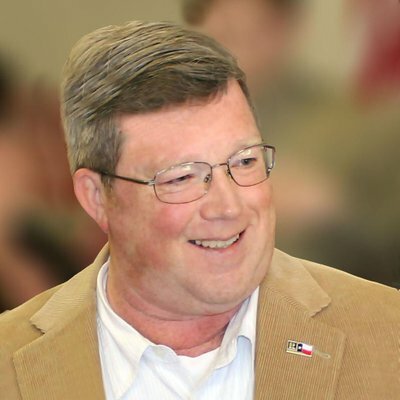 I have been a current resident of Copperas Cove since 1993. I retired from the military. Additionally, I worked 8 years in a leading technology company in the Telecommunication Industry. I am also a photographer and applies my knowledge of photography and video into my marketing of all my listings. As the old saying goes you only get one chance to make a first impression. Over 90% of new home buyers search the internet first. This is why it is so important to have the best photos and videos to market your home. I have found that selling real estate is not about houses… It’s about people. If you're buying or selling a home, finding the right real estate professional can make all the difference in the world. I think you'll feel confident in my experience and market savvy. And you'll feel comfortable with my caring attitude and commitment to hard work. If you or someone you know needs that kind of agent, call me. I'd love to help you with any and all your Real Estate needs. Let me take care of all your Real Estate needs, whether you want to buy a home, sell a home, learn about financing, or need help with your relocation to or from the Ft Hood, Killeen, Harker Heights or Copperas Cove area. Accredited Buyer Representative is a designation from the Real Estate Buyer’s Agent Council that trains experienced REALTORS® in specifically representing the real estate consumer. ABR® stand for the benchmark of excellence in buyer representation. 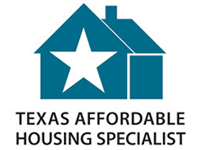 The Texas Affordable Housing Specialist (TAHS) certification equips Texas REALTORS® with the knowledge to help first-time and underserved homebuyers and increase sustainable homeownership in Texas. REALTORS® who receive the CRS Designation have completed advanced professional training and demonstrated outstanding professional achievement in residential real estate. Only 37,000 REALTORS® nationwide have earned the credential. Home buyers and sellers can be assured that CRS Designees subscribe to the strict REALTOR® code of ethics, have been trained to use the latest tactics and technologies, and are specialists in helping clients maximize profits and minimize costs when buying or selling a home. E-PRO is a training program to certify real estate agents and brokers as Internet professionals. E-PRO is not just about technology; it's about how Realtors can leverage the most powerful asset, people skills, into doing more business on the Internet. E-PRO gives Realtors exhaustive Internet training, unique competitive advantage, and professional distinction.